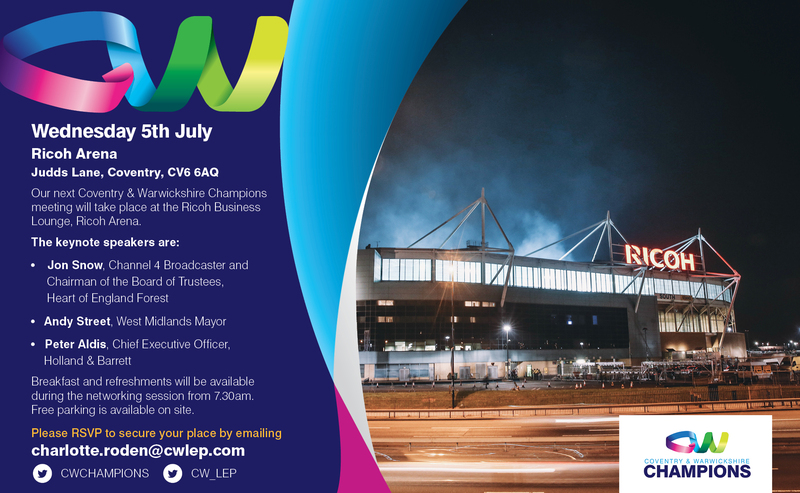 Our Coventry & Warwickshire Champions meeting took place on Wednesday 5th July at the Ricoh Business Lounge at the Ricoh Arena, Judds Lane, Coventry, CV6 6AQ. 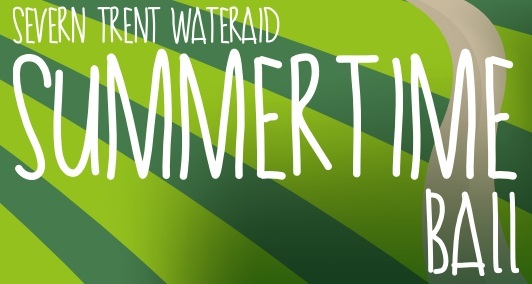 Severn Trent will be celebrating the Great British summer in style, while supporting the fantastic charity WaterAid, which is very close to their hearts! The Talent and People Alliance event is being held on 7th June 2017 starting at 3pm at Wright Hassall LLP. John Wilson, CEO of ExpoLink will be talking about Whistleblowing in the workplace. 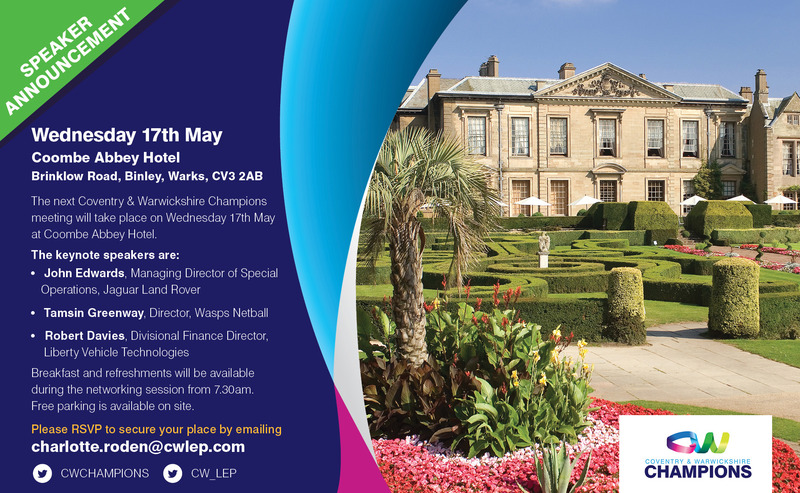 Please RSVP to charlotte.roden@cwlep.com to secure your place. We are pleased to invite you to the first Coventry Skills Summit on Wednesday 26th April 2017 being held from 9am to 1pm at the Ricoh Arena. 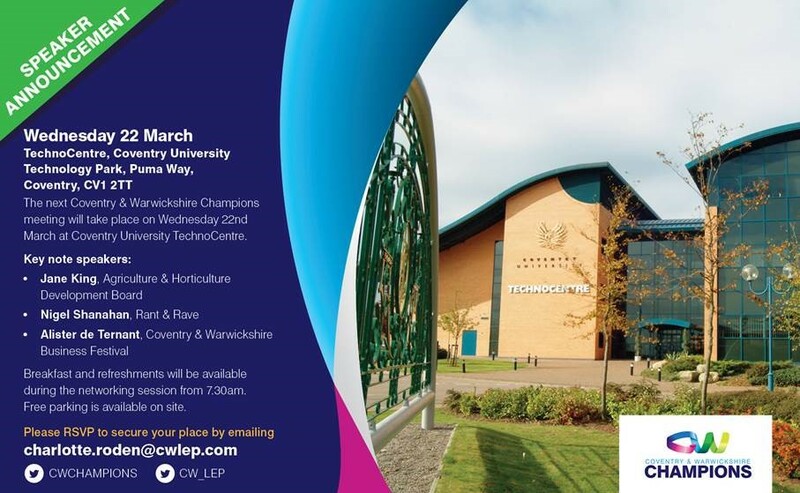 Over 150 business and organisation leaders from across Coventry & Warwickshire gathered at Coventry University TechnoCentre for the Coventry & Warwickshire Champions meeting. Southam College careers fair is taking place on 16th March 2017 2.30pm-5.00pm.